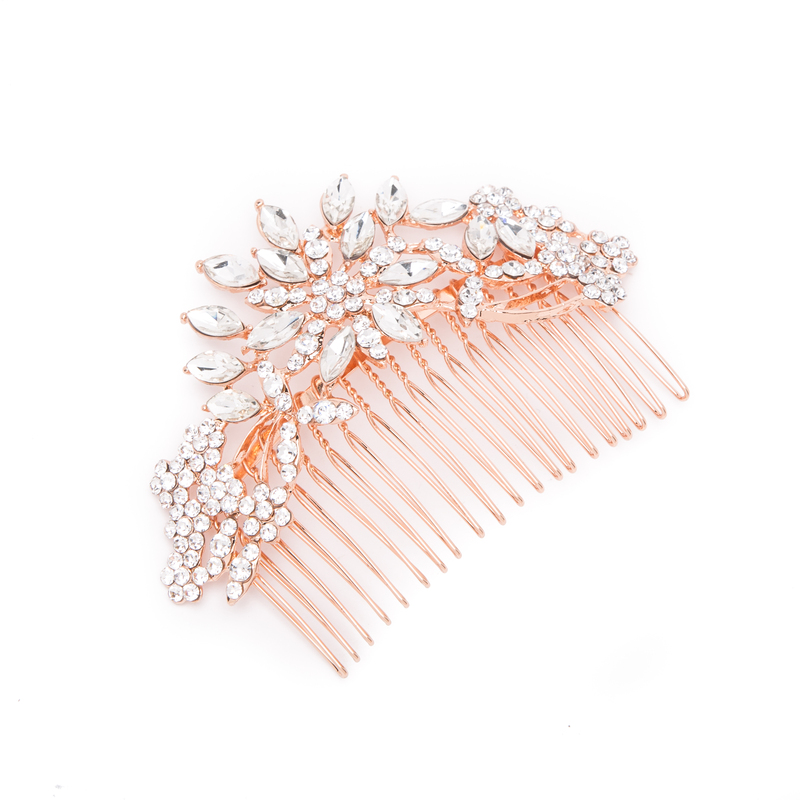 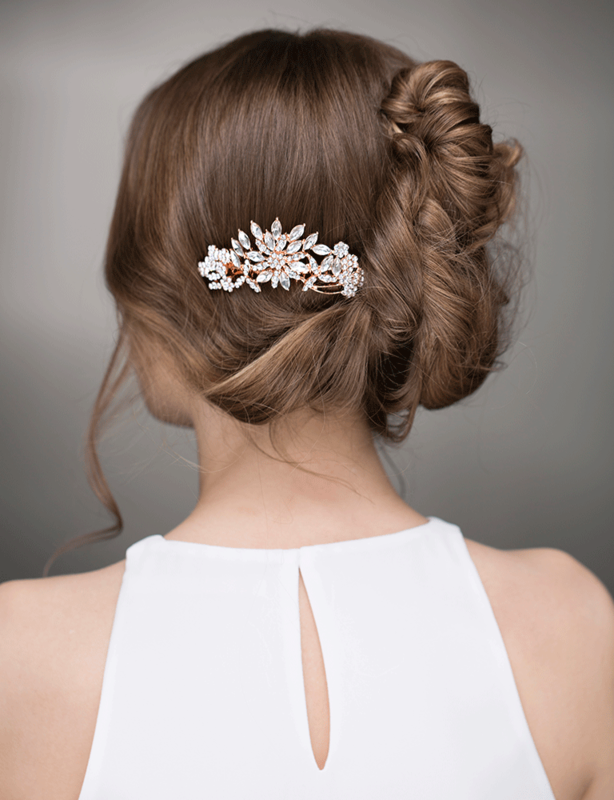 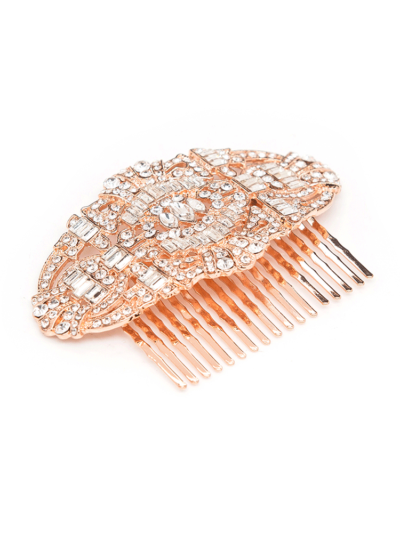 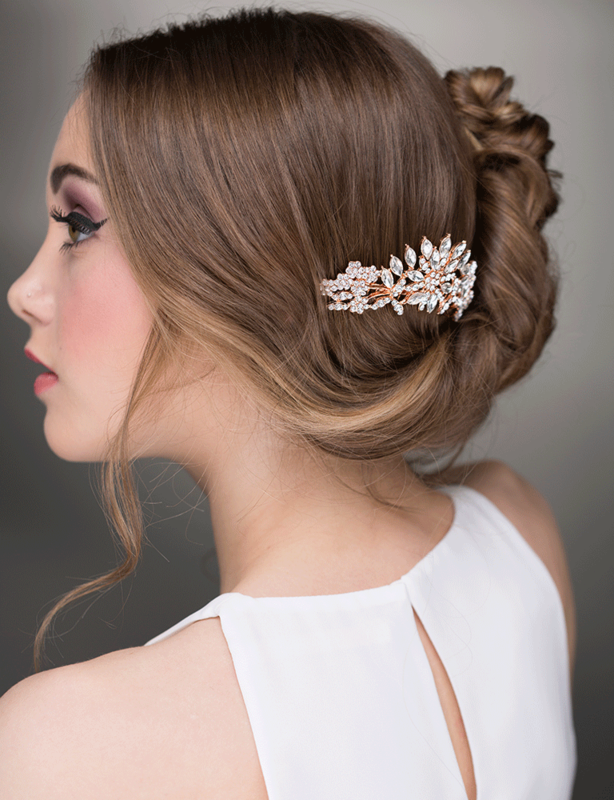 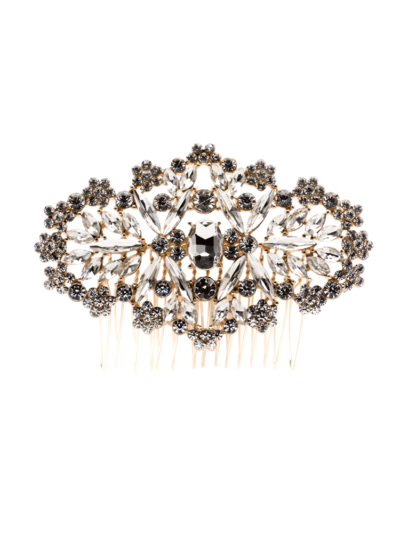 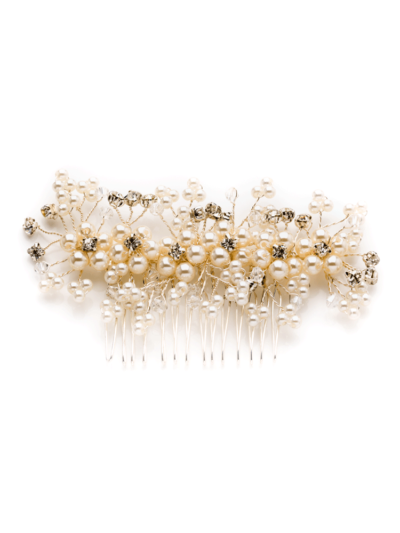 Add elegance and beauty with this rose gold comb that features clusters of clear crystals. 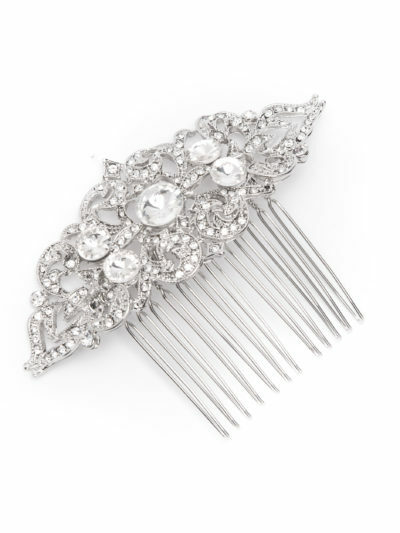 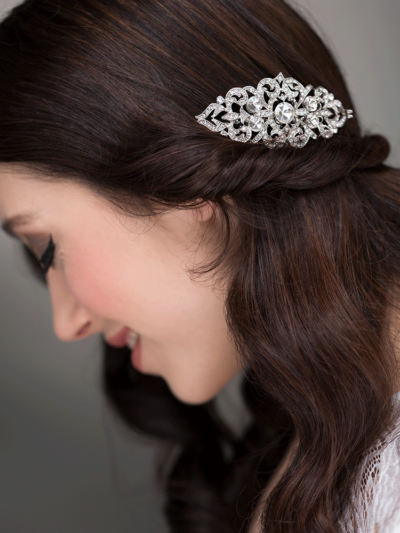 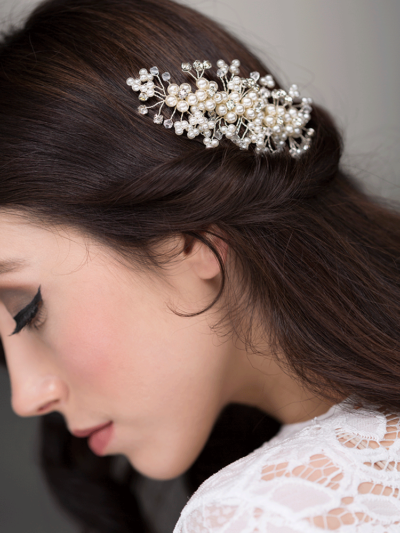 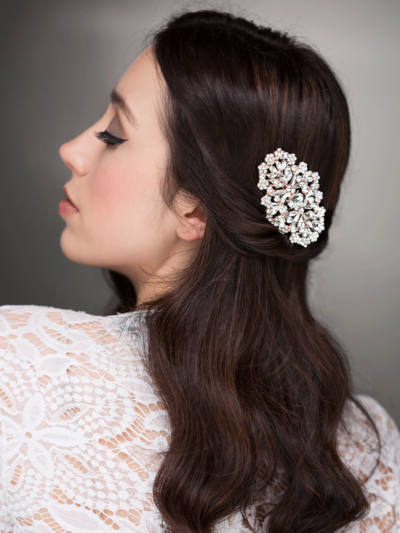 A timeless classic piece that will compliment any bridal attire.perfect for bride, bridesmaids or guests. Add elegance and beauty with this rose gold comb that features clusters of sparkling clear crystals.